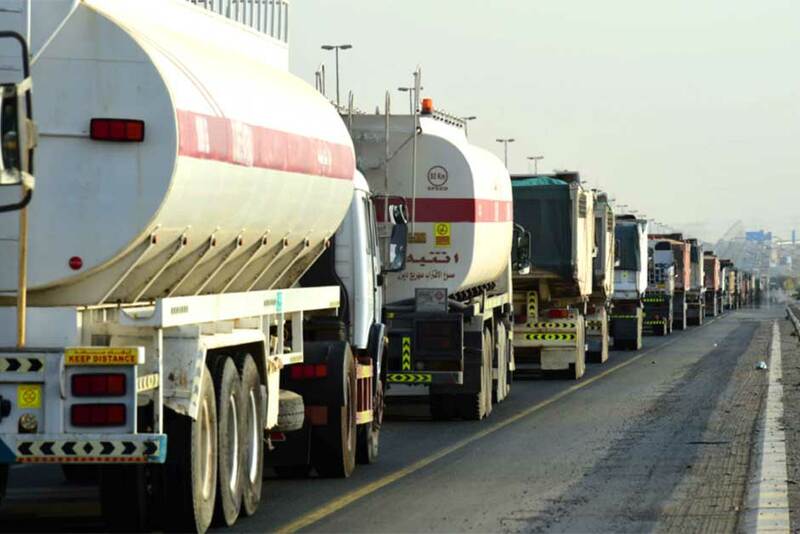 Dubai: Motorists driving from Sharjah to Dubai faced massive traffic snarls with delays of up to one hour after four trucks crashed into each other. The accident was reported at around 7am on Emirates Road near the border of the two emirates, according to Dubai Police’s Twitter page. Police cautioned motorists to be cautious of tailbacks during the morning rush-hour, especially before Al Aweer Bridge in the direction towards International City. Traffic jam due to An #accident on Emirates Rd coming from Sharjah before Al Aweer bridge, please be extra cautious. By 8.15am, the heavy vehicles were removed from the roads and drivers stuck on the highway’s backlog had to make their way through the debris and tyres strewn on the asphalt. Commuters also faced heavy delays on other routes to Dubai as traffic jams were reported in Al Nahda all along Al Ittihad Road, Shaikh Mohammad Bin Zayed Road and the industrial areas.